This plaza was commissioned by the City of Livermore to honor the recent discovery of Element 116, Livermorium. 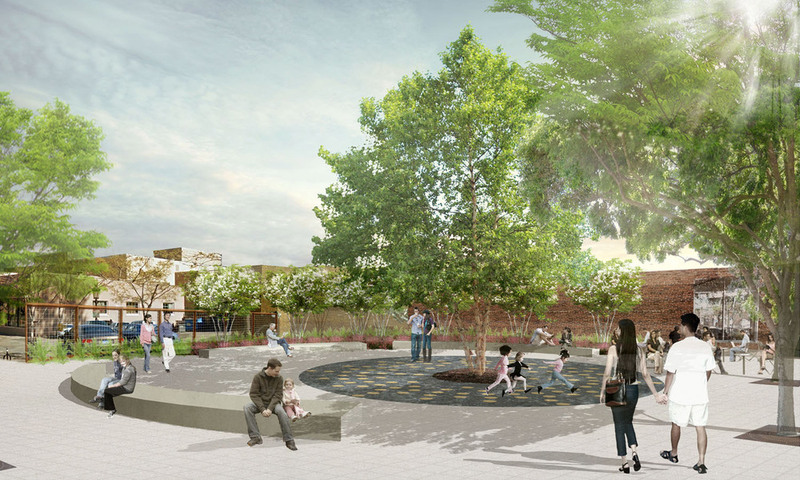 The goal is to re-enliven the existing downtown square by creating a vibrant space featuring public art that both celebrates and educates the public about the new element and the local laboratory in which it was discovered. The design process involved close collaboration with three artists to create spaces that support their unique sculptures, as well as collaboration with user groups, scientists at the Livermore Lab, and the city through public forums and presentations. Each of the three plaza designs provides flexible gathering space that integrates the art into the program of the plaza in distinctive ways.